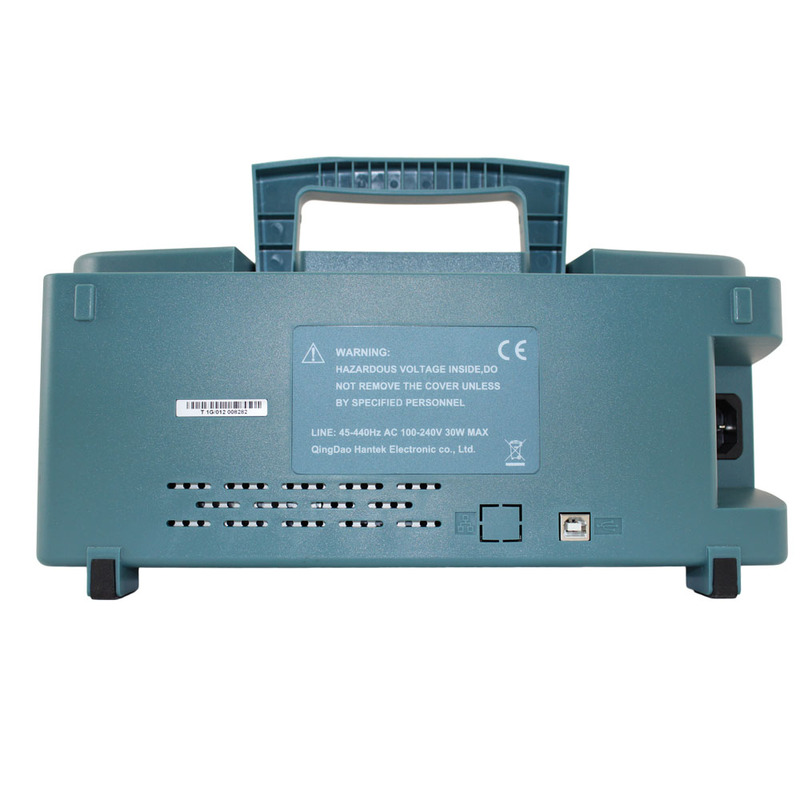 Circuit Specialists is able to offer the new Hantek DSO5202B at a very attractive price. 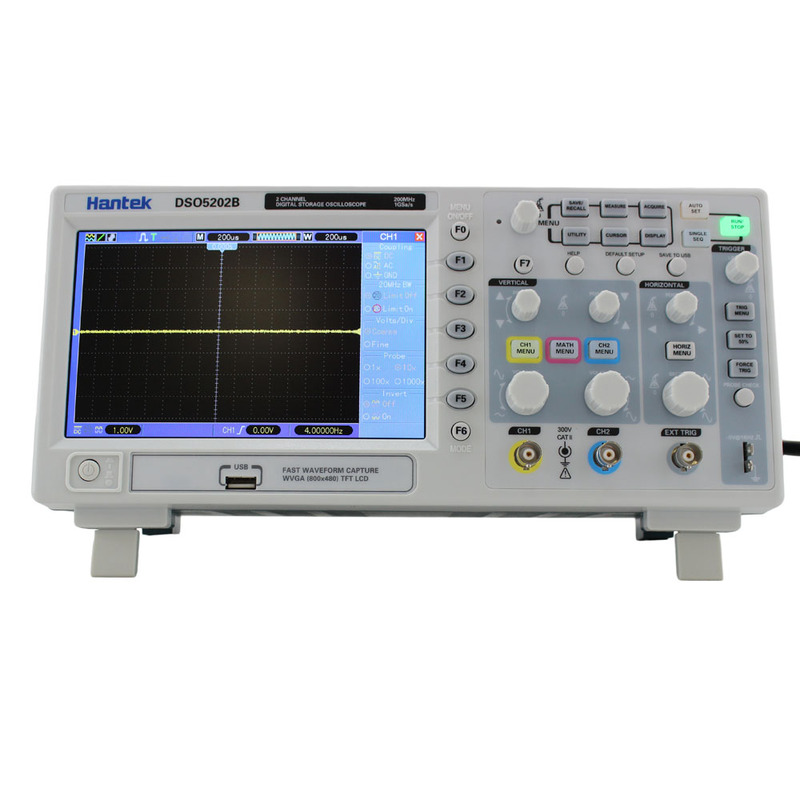 But even at this low price all of our Hantek oscilloscopes are shipped for FREE and supported from the United States. 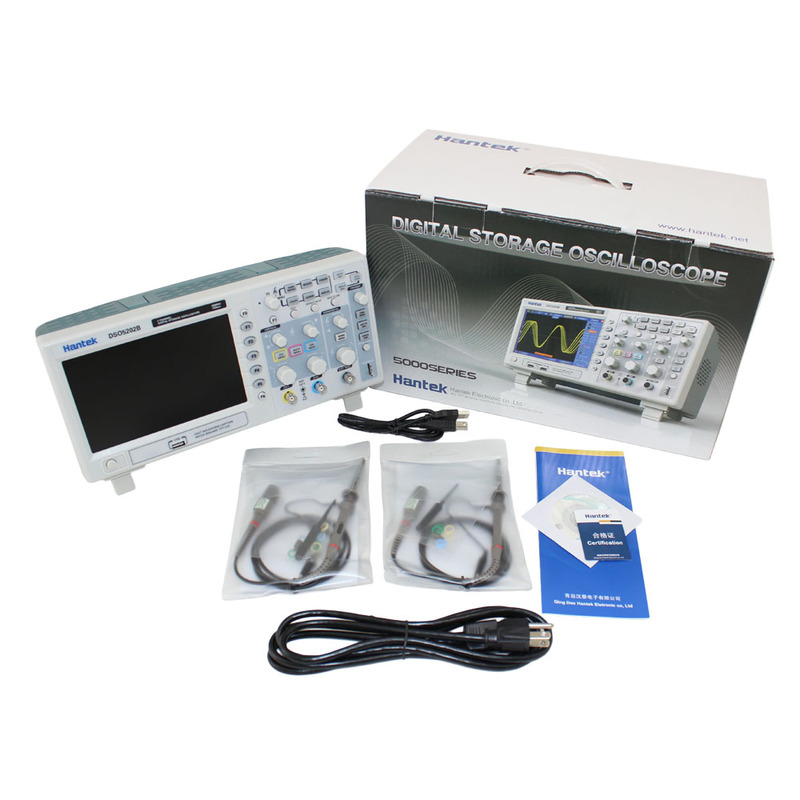 The Hantek DSO5202B Digital Storage Oscilloscope is a 200MHz DSO that provides real-time sample rates up to 1GSa/s and equivalent sample rates up to 25GSa/s. In addition, it's 1M memory depth allows for better observation of waveform details. The 7 inch color TFT 16 color LCD Display with Windows-style interface and menus provide easy operation. 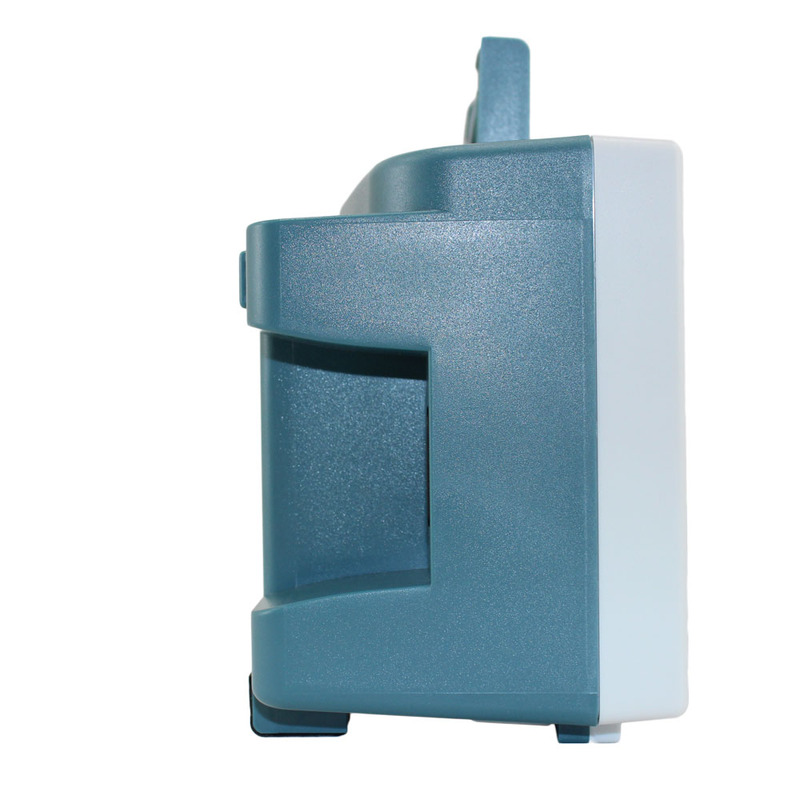 The unit is light enough and small enough to be portable and includes a built in FFT function. The Hantek DSO5000 Series oscilloscopes, including the 5202, cover the bandwidth from 25MHz to 200MHz and provide real-time and equivalent sample rates respectively up to 1GSa/s and 25GSa/s. With 1M of memory on board, you can store and review waveform details. Manual: The difference between voltage cursors; the difference between time cursors; calculated by Hz. Included: two oscilloscope probes, USB cable, and power cord. For more information, refer to the Hantek DSO5202B Oscilloscope Owner's Manual. Herer is a a customer submitted review of a similar model. Head over to the CSI Blog to learn about using a Hantek 5000 Series Oscilloscope to troubleshoot a push-pull amplifier. Here you can download Hantek's Scope Software CD in (ISO Format). Here you can find details of Hantek's 3 year warranty.